United Emirates-based artist Julia Ibbini sources elements from Islamic geometry, embroidery, meenakari enamel work, and even electronic music to inspire the designs that compose her laser cut paper works. The complex patterns and layers of her colorful compositions are a metaphor for the artist’s multicultural background as a dual national from Jordan and the UK, and share elements of symbolism seen in the Middle East region. 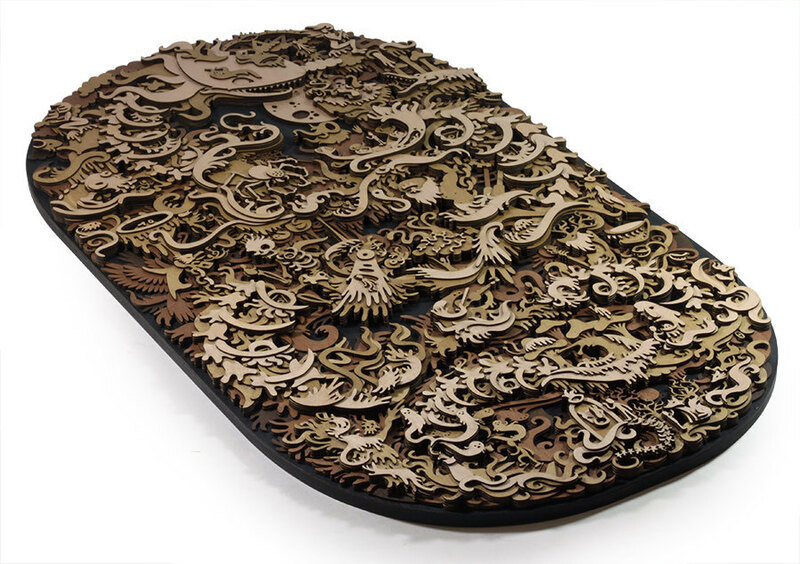 Ibbini uses computer algorithms to create digital designs that she laser cuts onto paper. She then layers these detailed pieces and hand-paints them with ink in brilliant shades of pink, blue, yellow, and orange. Her solo exhibition The Sublime Line opens April 3, 2019 at Jonathan LeVine Projects and runs through May 3, 2019. You can see more of her detailed compositions on her website and Instagram. 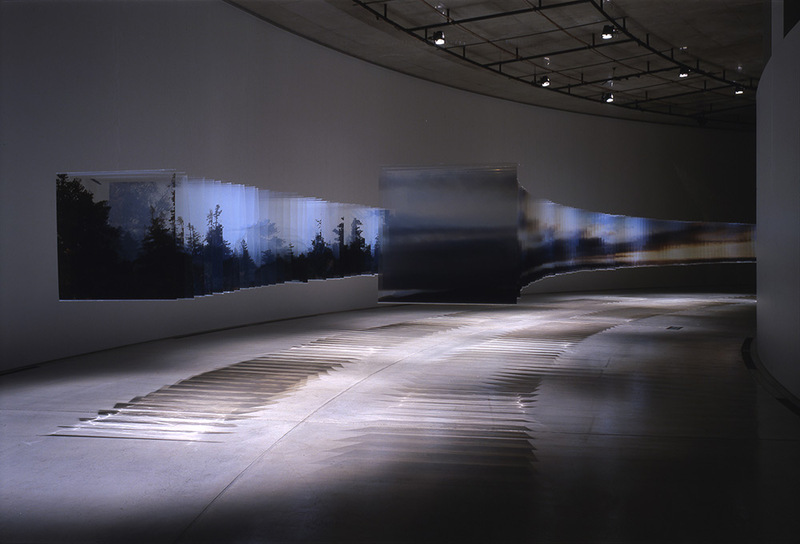 Japanese artist Nobuhiro Nakanishi creates sculptural works that attempt to preserve a singular moment in the natural world, capturing deeply pigmented sunsets and brightly-lit forests in a series he’s titled Layer Drawings. 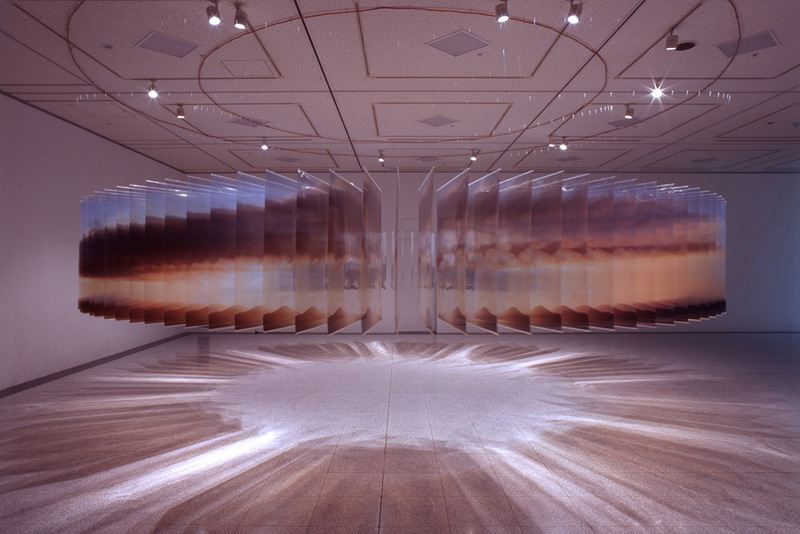 To produce the three-dimensional installations, Nakanishi first photographs an environment over a period of time. He then mounts selected images from his documentation on panels of acrylic in chronological order, allowing slight variation from frame to frame. Inspired by the relics of his parents’ past as Czech publishers and book smugglers, Martin Tomsky (previously) produces laser-cut illustrations that introduce depth with several layers of plywood in varying tones. Originally immersed in drawing detailed scenes on paper, Tomsky transferred his skills to the 3D, creating stories that seem tangled in lore and feature the outlines of animal skeletons, dense forestry, and mythical beasts. 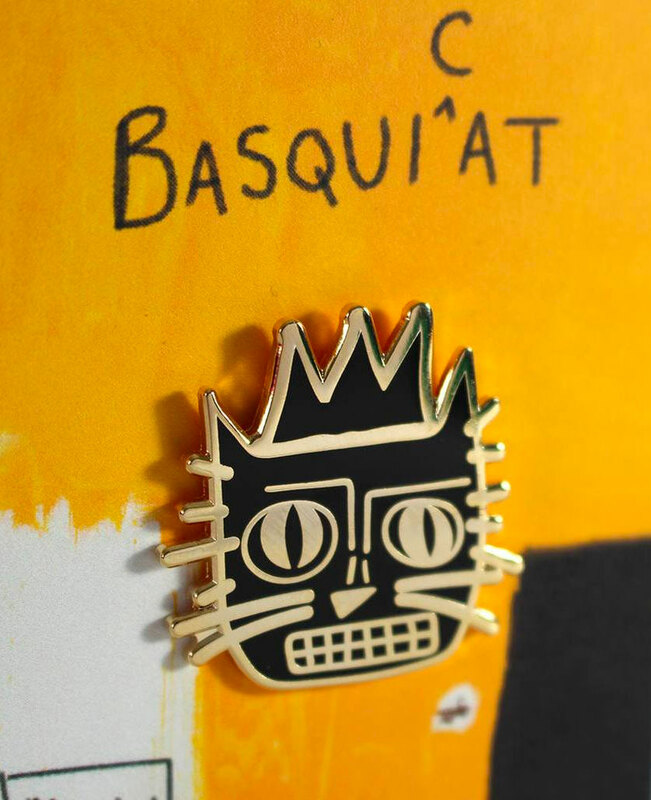 The London-based artist aims to create work that speaks to craft, illustration, and sculpture, each piece serving as both a decorative object and wall-mounted story. Although many of his works are large and intricate productions, he also works small, singling out animal characters like owls, rabbits, and badgers in necklace pendants and brooches. 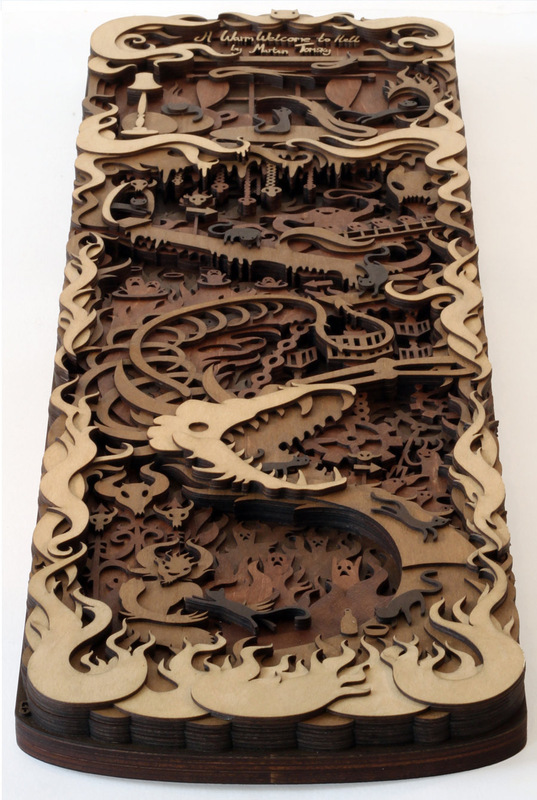 You can see more of Tomsky’s laser-cut tales on his Etsy and Facebook page here.